‘Ilya’ by Julian Stephens is a stunning range of contemporary Signet rings, adorned with precious gemstones in a array of alluring colours. 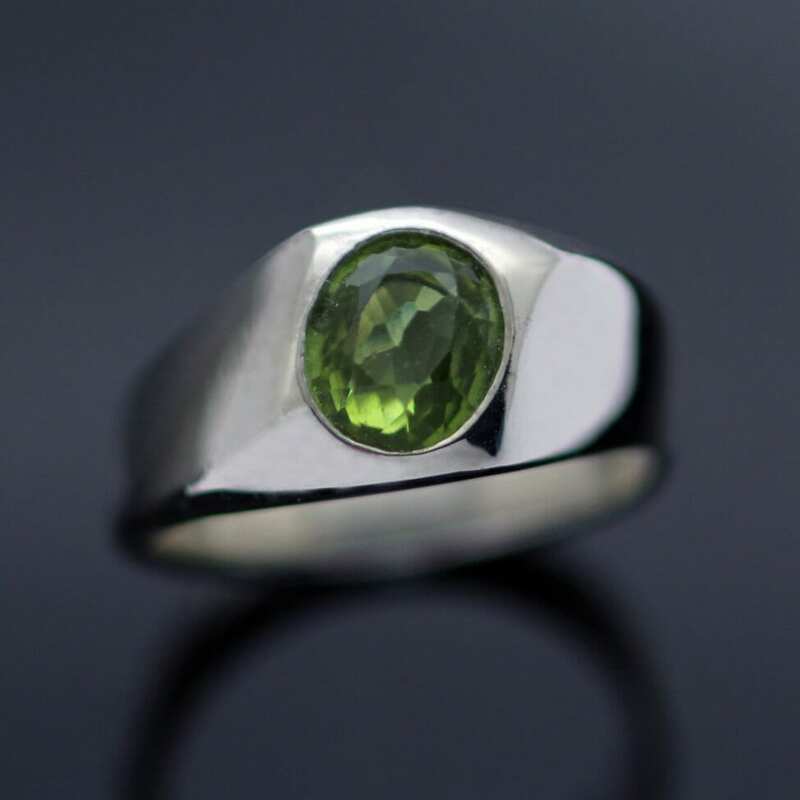 A streamlined, modern Sterling Silver shank is adorned with a classic zesty green Oval cut Peridot gemstone, expertly set by Julian Stephens at an unconventional and unique angle to create a stylish and eye-catching ring. 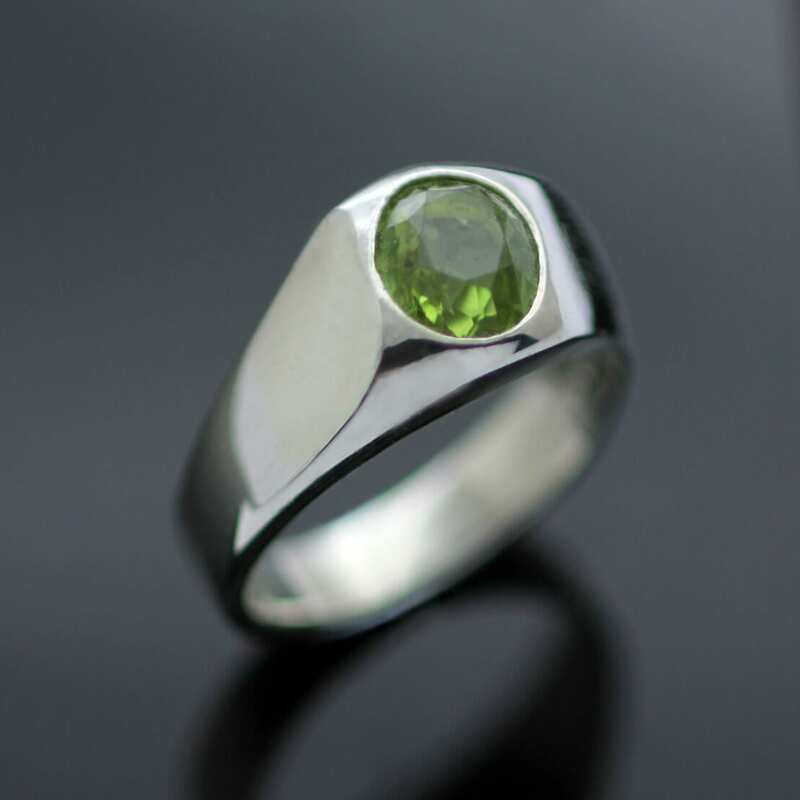 This carefully constructed Peridot and Silver ring is a fresh, modern take on the classic Signet ring, originally worn on the little finger and designed to symbolise Ancient Gods, and in later centuries Family Heraldry. This playful, quirky modern update to the Signet ring has been designed with care and is suitable for daily wear. 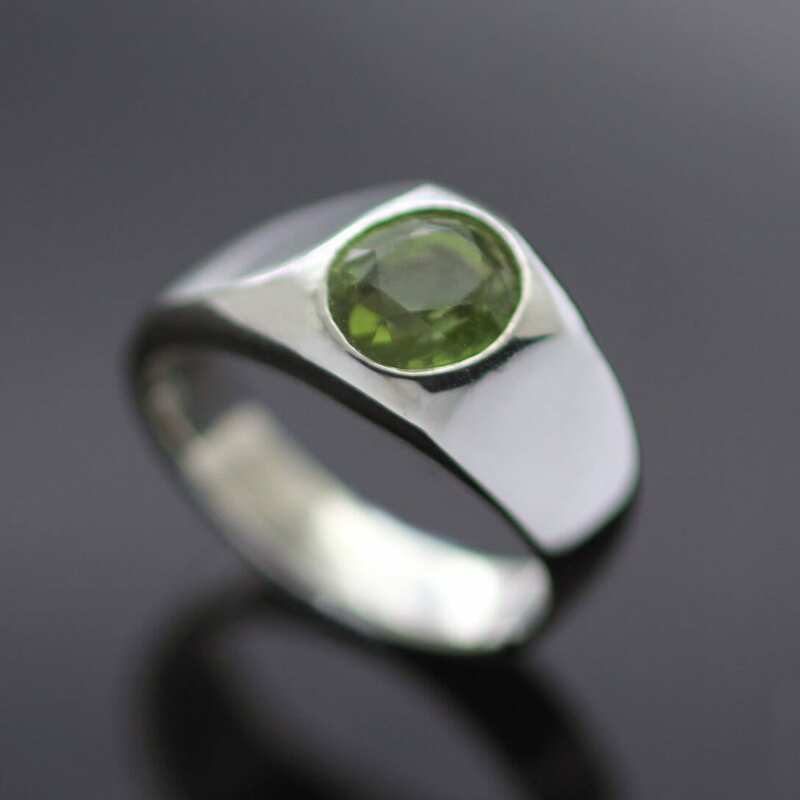 Finished with a glossy polish to the Sterling Silver for added lustre this ring proudly bears Julian Stephens Maker’s Mark and is fully Hallmarked.